In this article, we will show you how to install an SSL Certificate on Plesk Onyx. You will also learn how to generate a CSR code from Plesk directly, and, as a bonus, a few interesting facts about Plesk’s history. Finally, we will give you useful tips on where to buy the best SSL Certificate for Plesk. 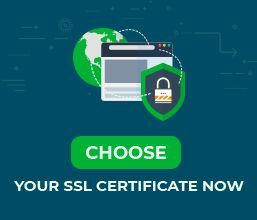 Where to buy an SSL Certificate for Plesk? Now, you can copy the CSR code (including the —–BEGIN CERTIFICATE REQUEST—– and —–END CERTIFICATE REQUEST—– tags) and use it during your SSL order process. As for the private key, you will use it later during the SSL configuration. 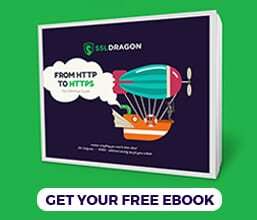 To force the HTTPS connection, return to the previous step (6), tick the Permanent SEO-safe 301 redirect box, then Apply > OK.
That’s it! Now, all you have to do is test your SSL certificate for potential errors and vulnerabilities. Use these excellent SSL tools to get instant status reports for your certificate. Plesk is a popular, commercial web hosting platform for Linux and Windows servers. It offers a full suite of managing tools for server administrators, hosting resellers, and end customers. Plesk has its origins in the Siberian city of Novosibirsk. It went live for the first time in 2001. From 2003 to 2015 Plesk was part of SWSoft (later Parallels). Plesk became an independent entity in 2015 until Oakley Capital acquired it for $105 million in 2017. Plesk Onyx – released on October 11, 2016, it has extended support until October 11, 2020, while its EOL (End of Life) cycle is on April 20, 2021. Plesk 12 – released on June 16, 2014, it has extended support until June 16, 2018, while its EOL cycle is on January 1, 2019. You can find the perfect SSL Certificate for your project and budget with the help of our exclusive SSL tools. The SSL Wizard offers a quick and precise way to determine the right SSL for you, while the Advanced Certificate Filter allows you to sort and compare different certificates by price, validation, and features.